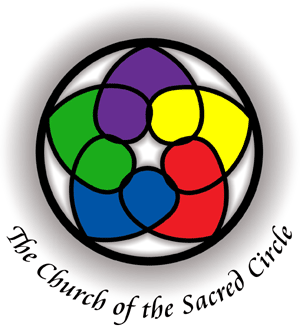 UUPS is very pleased to announce the new sponsorship by The Church of the Sacred Circle. Reverend Lady Avalon Starr contacted UUPS in May indicating CSC wanted to sponsor UUPS, and on board they came! “I am very happy to have the support of such a wonderful group of people and such a respectable organization like The Church of the Sacred Circle. I have been off and on, more off than on, to their events and it has always, always been a safe, inclusive and respectable atmosphere, especially by the clergy and especially by Lady Starr” said President Muad’Dib. What the new sponsorship means is that CSC gets a new sponsor packet, with a certificate and information sheet detailing what their sponsorship means. UUPS gets the benefit of having an organization that has a long good standing in the community to lean on. Right now UUPS hasn’t set any dollar limit to being a sponsor. All organizations and people interested may contact UUPS indicating their desire to become apart of Salt Lake City’s only group of inclusive student and community pagans and non pagans dedicated to Education, Awareness and Inclusion.